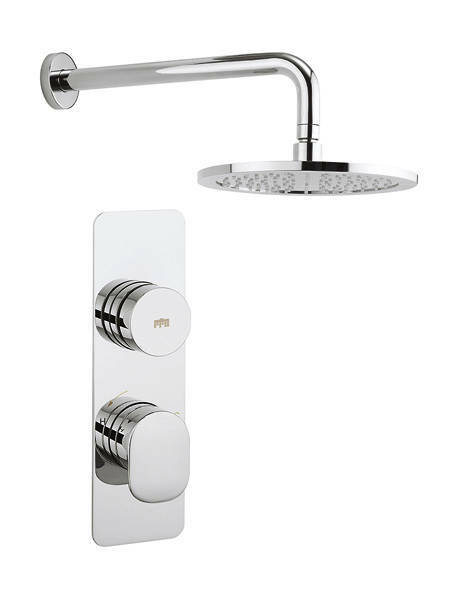 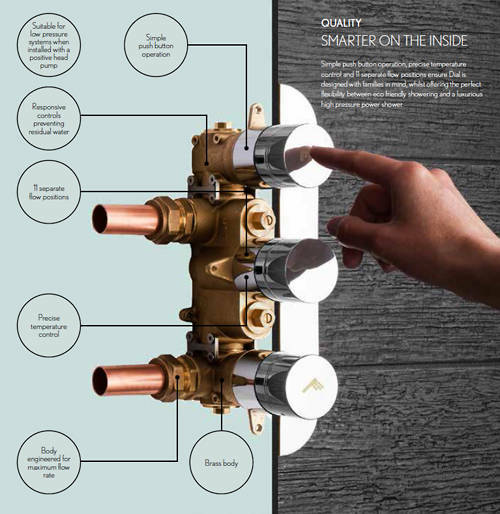 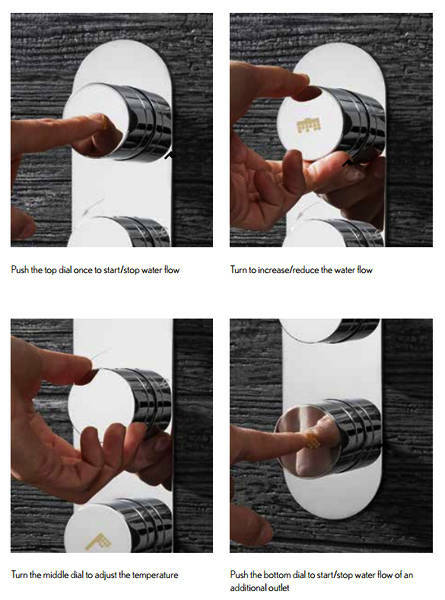 Crosswater Dial > Pier Thermostatic Shower Valve With Head & Arm (1 Outlet). 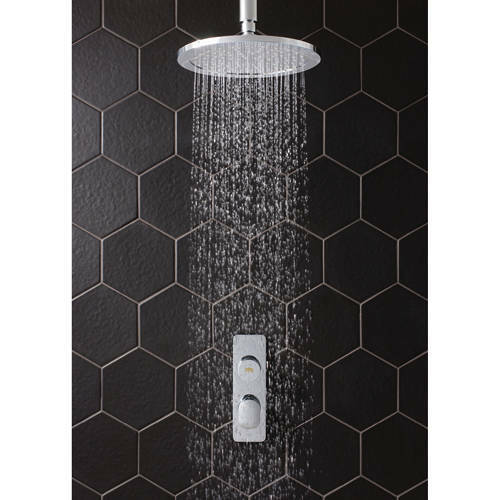 Crosswater Pier thermostatic push button shower valve with round head, wall mounting arm and rectangular chrome back plate. 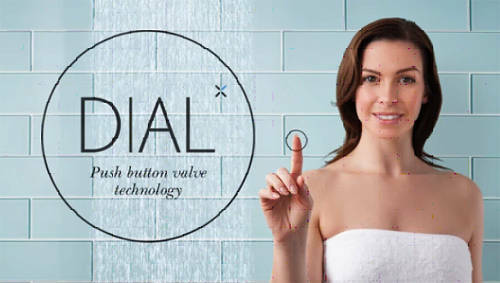 Dial fixed shower head and wall shower arm included. 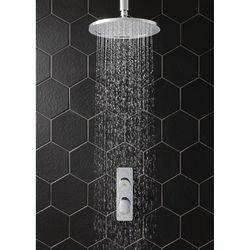 Suitable for use with a single shower head or a slide rail kits.